For today's "Where are they now?" I'd like to talk a bit about a fellow who worked with Damon Slye on games back in the 1980s and continued to develop games to this very day. From the many "Where are they now?" posts I've done so far, I've started to appreciate how rare it is for someone to be so passionate about games to continue developing them for over four decades - many would've simply retired by now. Jeff Tunnell is one of those rare individuals that has stayed in the business to this very day, but where did it all start? Well, back in 1981, Tunnell managed to get his first Apple II (it seemed to be the game development machine of choice during the early 80s) and he started his first business selling software from his house while at the same time attempting to program games. Tunnell eventually met Damon Slye who was programming games in assembler which made the man "a God" in his eyes. Tunnell hired him to work in his store and when he realised how good he was at programming, Tunnell focused on other aspects of game development, namely "design, production and learning to run the business". Eventually in 1984, Tunnell and Slye formed the game development company "Dynamix". Dynamix would go on to develop many simulation games in the 1980s - most I've never heard of (but that's probably because I was too young at that stage) with the exception of 1989's A-10 Tank Killer which I fondly remember. Tunnell served as an Executive Producer on that project. Tunnell left Dynamix in 1990 to form his own company called Jeff Tunnell Productions but around that time a few noteworthy Dynamix games were released, namely the WWI flight sim Red Baron in 1990 (where Tunnell was executive producer), the 1990 cyberpunk adventure Rise of the Dragon (which Tunnell designed), the 1991 adventure game Heart of China (which Tunnell wrote and directed) and the 1991 adventure game The Adventures of Willy Beamish (which Tunnell directed). After Tunnell left Dynamix he developed the game that he's arguably most famous for: 1992's The Incredible Machine, a game where you solve puzzles by developing Rube Goldberg-like devices. While Tunnell didn't program the game, he was the designer and producer. Tunnell returned to Dynamix in 1995 in a leadership role and before the company disbanded in 2001, he was executive producer on the classic 1999 mecha simulation game Starsiege. When Dynamix disbanded, Tunnell formed a new company called GarageGames, an independent video game publisher which also developed the Torque Game Engine, originally developed for the 2001 game Tribes 2. Tunnell eventually left GarageGames in 2008. In 2009, Tunnell founded the company PushButton Labs which focused on the development of social games but they eventually wound down operations in 2011 after being acquired by Disney. In 2012, Tunnell founded Spotkin along with several partners from his previous companies and he still works there today as Creative Director and Managing Partner. 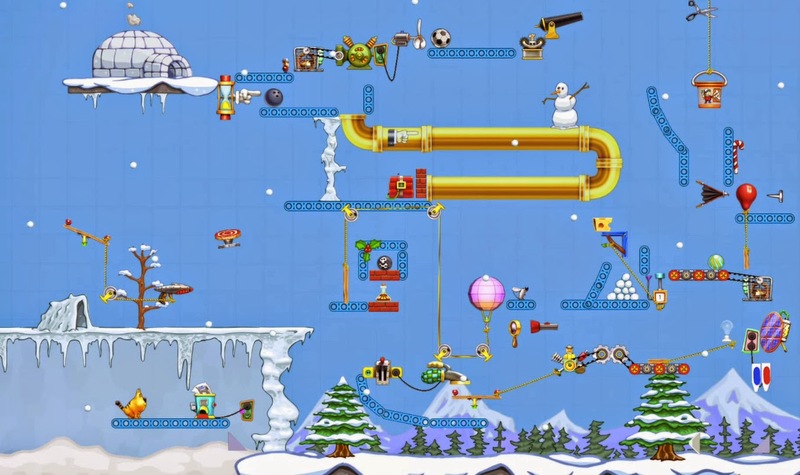 In 2014, Spotkin released a spiritual successor to The Incredible Machine called Contraption Maker which has rated very well with Steam users (Very Positive rating of 94%) which just goes to show that when it comes to gameplay, it doesn't matter how old the concepts are - they can still be relevant today. Well, it's good to see Tunnell is still involved in making games and I hope he continues to channel his enthusiasm and creativity into the field for many years to come! Thank you for all the games you made at Dynamix and The Incredible Machine series! Dynamix Jeff Tunnell Sierra Where are they now?